Some 800 million people around the world depend on livestock that graze on natural vegetation for their livelihoods and food security. In a good season, grasses and other plants flourish, supporting robust herds. In a bad season, the system suffers - as do the people who rely on it. The difference between a good and bad year? One significant and increasingly volatile factor is precipitation. 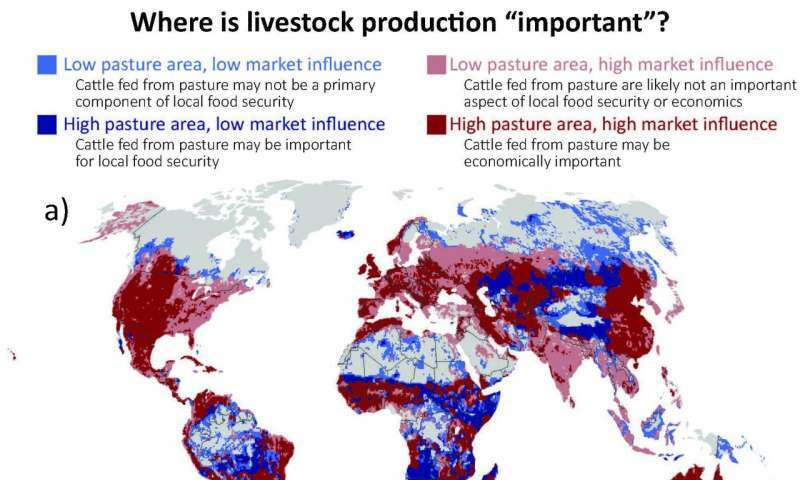 A new study in Nature Climate Change reveals that over the past century year-to-year precipitation variability has increased significantly on 49 percent of the world's grazing lands, affecting vegetation and constraining its ability to support livestock. 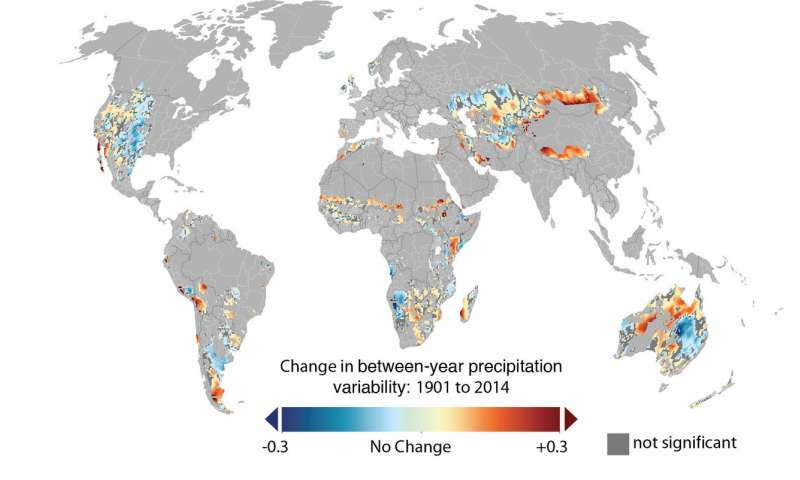 The study's authors, led by a team from the UMN Institute on the Environment, used climate data from 1901 to 2014 to create global maps of precipitation variability trends. While some grazing lands showed decreases in rainfall variability, the overall trend is an increase in fluctuation, both within and between years. "Visualizing precipitation variability trends allows us to identify grazing lands that have undergone large changes - and to learn from those places where people have managed to adapt well despite increased variability," says lead author Lindsey Sloat, a postdoctoral research associate with IonE's Global Landscapes Initiative. "This study is showing us that grazing is potentially highly vulnerable to climate change, right across the world, from Australia to Central Asia, sub-Saharan Africa and the Americas," says co-author Mario Herrero of Australia's Commonwealth Scientific and Industrial Research Organisation. Not to worry, over grazing is far out stripping any damage due to climate variability. I do believe the Bureau of Land Management still uses the same practices as it did fifty years ago. These practices have adversely effected the environment. In Western grasslands they did and may continue to rent out public land crazing rights at below market rates. Hence ranchers have little reason to act as custodians of the land. Economically it is called common lands. Ranchers over graze it. Places once covered in grass are and remain bear ground. Both native flora and fauna are most cases eliminated. Should one go to the Pawnee National Grasslands you can see the desertification resulting from over grazing. If you fly over parts of the Arizona/New Mexico border in the springtime you can see the border by the condition of the grassland. New Mexico stripped and Arizona green. How I wish the Federal government could be held accountable for its crimes against the environment.